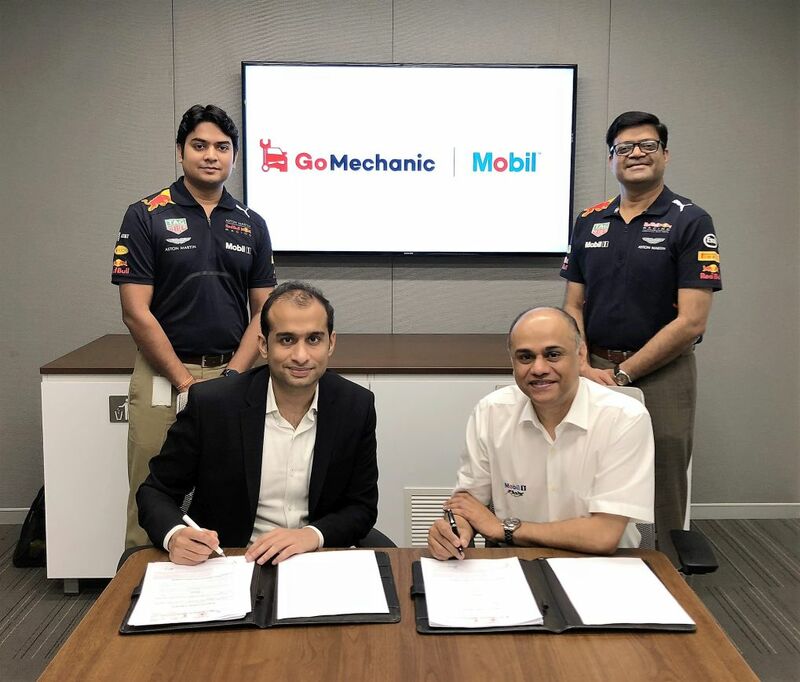 ExxonMobil Lubricants Pvt Ltd. has partnered with GoMechanic - a branded network of technology-enabled service centers - as their exclusive lubricant partner to provide complete car care to customers. GoMechanic is an emerging startup currently offering their services in Delhi NCR & Mumbai and plans to further expand to Pune, Bengaluru and Hyderabad by the end of 2018. Car owners can book services at convenient prices by logging on to the GoMechanic website, the android app or over a call/ WhatsApp. GoMechanic allows people to avail hassle-free, fast, and affordable quality services. The scheduled service offering is priced starting at Rs. 1999/- and varies depending on the customers’ car model. Customers can opt for a free car pick-up and drop-off service or book an appointment and drive to the GoMechanic partner workshop. GoMechanic enables customers to save more on their service and repair costs as compared to an authorized service centre. Gomechanic’s asset light model of business and centralized procurement and supply of spare parts are targeted to save on labour and material costs, adding to the customer’s advantage. quality of the lubricants that we offer”, said Kapil Mittal, Director of Market Development – India for ExxonMobil Lubricants Pvt. Ltd.
Mobil has also collaborated with GoMechanic to offer a special subscription for UBER drivers across Delhi and Mumbai.